MARTINSVILLE, N.J. (January 24, 2009)—Lottery players finally get the respect they deserve, with the publication of the first in a series of lottery results reference books geared to a market that has been largely underserved by mainstream publishers. Lottery Post 2009 Lottery Results Almanac, United States Edition (ISBN 978-0-9826272-0-4), written by the creator of the popular Lottery Post web site and published by Speednet Group, is available for purchase immediately online at the publisher's web site (http://books.speednet.biz). The title will be available at major online retailers such as Amazon.com, Baker & Taylor, and Barnes & Noble, and book stores can stock the book through wholesale book distributor Ingram. In what the author calls "an unalterable snapshot in time" of lottery winning numbers, the reference book provides the confidence that fleeting information on a computer monitor often lacks, and has the longevity of the printed page. "Lottery players are constantly searching for high-quality reference-style books, a need that mainstream publishers have largely ignored," said Todd Northrop, the book's author and creator of Lottery Post. "It can also be a challenging task across several disciplines to pull a project like this together." "Since Lottery Post already maintains one of the most complete and accurate lottery results databases available," Northrop continued, "I was able to leverage that valuable asset and focus on editorial efforts — making a mountain of data highly readable and referenceable." The announced book covers the winning numbers for all United States lottery games in the year 2009. Puerto Rico lottery results are also included. In addition to the winning numbers, each game is described, including drawing schedule, game number matrix, drawing method, online links, and other pertinent notes. Northrop plans additional almanac editions covering different geographic regions and years. Todd Northrop is the originator, owner, and developer of Lottery Post (www.lotterypost.com), which has grown over the years to become the world's largest online community of lottery players, as well as one of the top Internet destinations for those seeking lottery results. 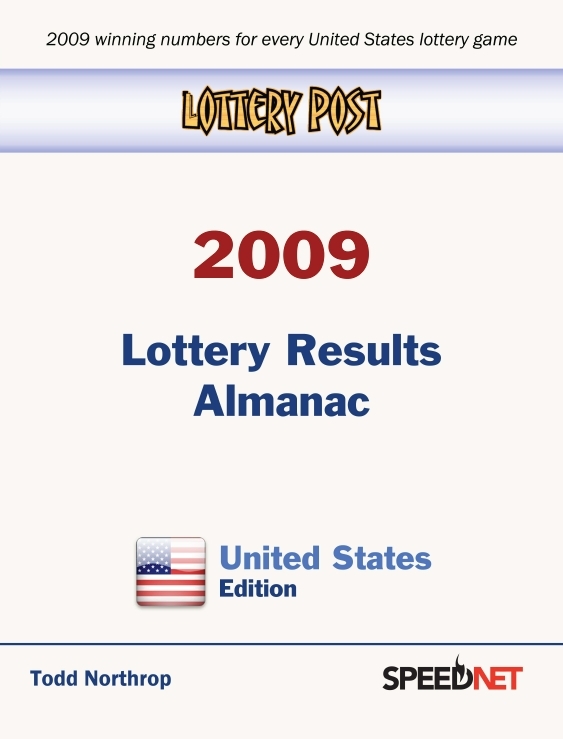 Lottery Post 2009 Lottery Results Almanac, United States Edition, is available for purchase immediately online at http://books.speednet.biz.